During summer months, the Department of Forestry and Fire Management contracts with commercial aviation assets, including specialized single engine firefighting air tankers and other fixed wing aircraft for tactical, reconnaissance, and firefighting support. Forestry and Fire operates this contracted fleet of firefighting aircraft from localized airports incorporating specialized mobile support equipment for Single Engine Air Tankers (SEAT) operations. SEATs can operate from smaller, shorter and mostly non-congested municipal runways. Effective pre-positioning of these smaller, specialized aircraft, and closer to the fire risk areas, allow for the rapid response and deployment of aerial fire retardant drops on wildfires. This close support and fast action keeps fires smaller and results in lower firefighting costs. In addition to utilizing contracted aviation assets, Forestry and Fire enjoys an excellent history of working jointly with the Arizona Department of Public Safety and the Arizona Army National Guard to provide supplemental helicopter and fixed wing aviation assets to support the firefighting mission. Forestry and Fire's aviation staff provide wildland fire related support including coordination, equipment, and training to the DPS and the Arizona Army National Guard. In 2017, DFFM SEATs responded to 16 state fires, 7 USFS fires, and 3 Department of Interior fires in Arizona. 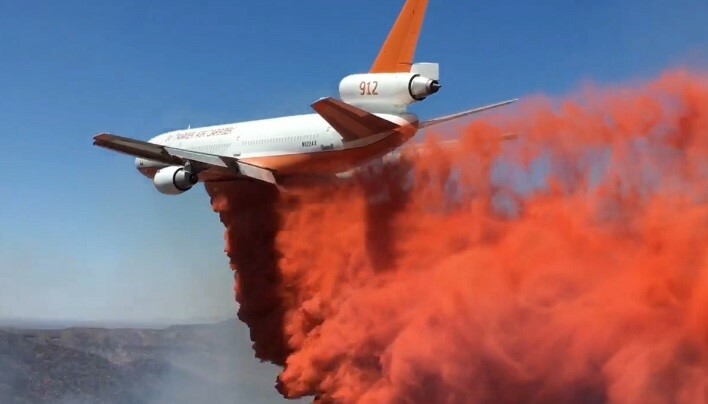 In all, those single engine air tankers dropped nearly 169,000 gallons of retardant on fires burning across the state.